Orca Chase in Emerald Coast. 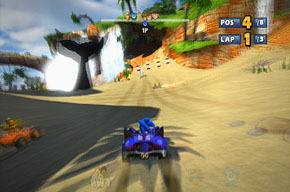 Orcas are aquatic mammals chasing Sonic in several games in the franchise. 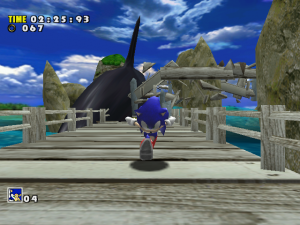 The orca first appears in Sonic Adventure chasing Sonic in Emerald Coast, destroying the wooden bridge over water. This is the famous "Orca Chase". Two orcas appear jumping from one place to another in Seaside Hill. They serve as background elements only. The orca appears in Wave Ocean and again chases Sonic across wooden platforms. Sonic hangs onto its dorsal fin and gets flung off when Tails closes the gate to keep the orca inside. This is also a reference to "Orca Chase". 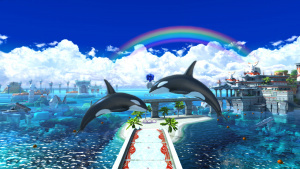 Both the 3DS version and console version features the orca in the remade versions of Emerald Coast. 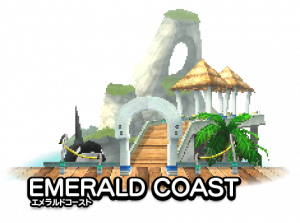 In the 3DS version, it appears on the Emerald Coast (Classic and Modern), referencing the original Emerald Coast, especially in the modern with the Orca Chase in 3D. In the modern version it is also much more aggressive similar to the original version. Also appears in the Hub of Emerald Coast. 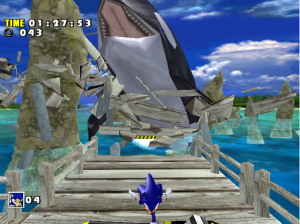 In the console version, it appears in Seaside Hill (Classic and Modern), where orcas can help Sonic giving a boost not to fall into the sea or they are simply part of the scenario when they jump crossing each other. Also appears in the Hub of Seaside Hill. 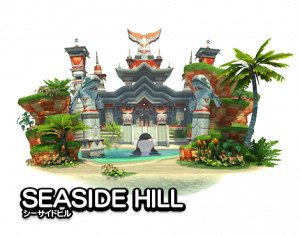 Orca returns again in Sonic & Sega All-Stars Racing in Seaside Hill as background of the stage. Orca returns in Sonic & All-Stars Racing Transformed in Ocean View, jumping like in Seaside Hill, but does not interact with the character. 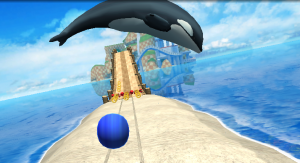 In Sonic Dash, the orca appears in beach parties. 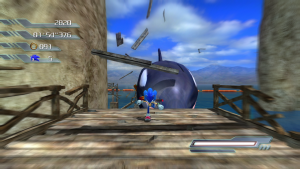 This would mark one more appearance orca in Seaside Hill.